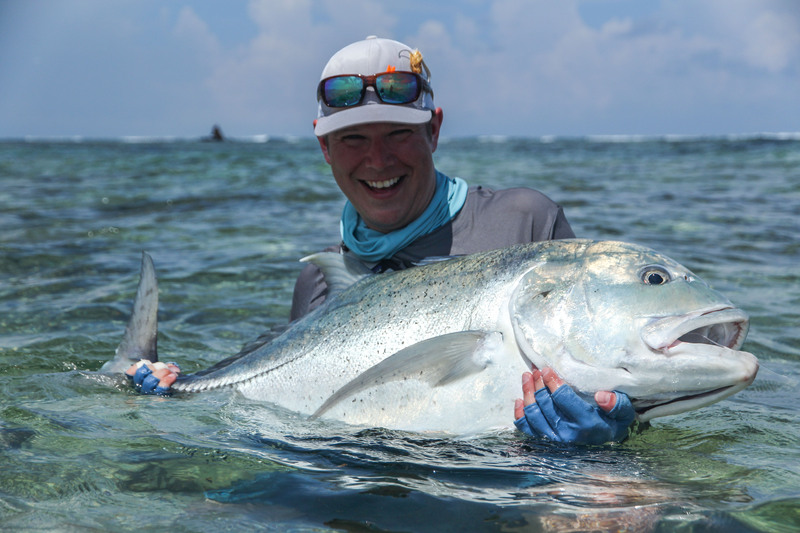 The big spring tides experienced on Alphonse Island and St. Francios this week had all the guests and guides alike chomping at the bit. 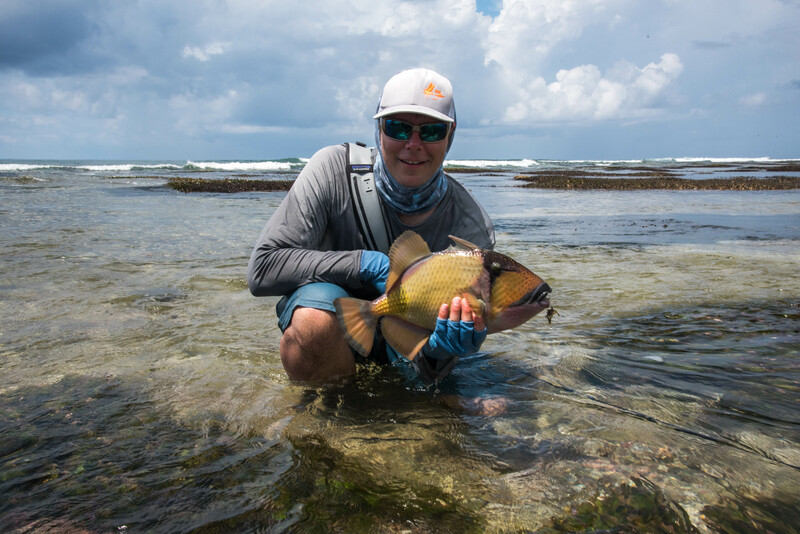 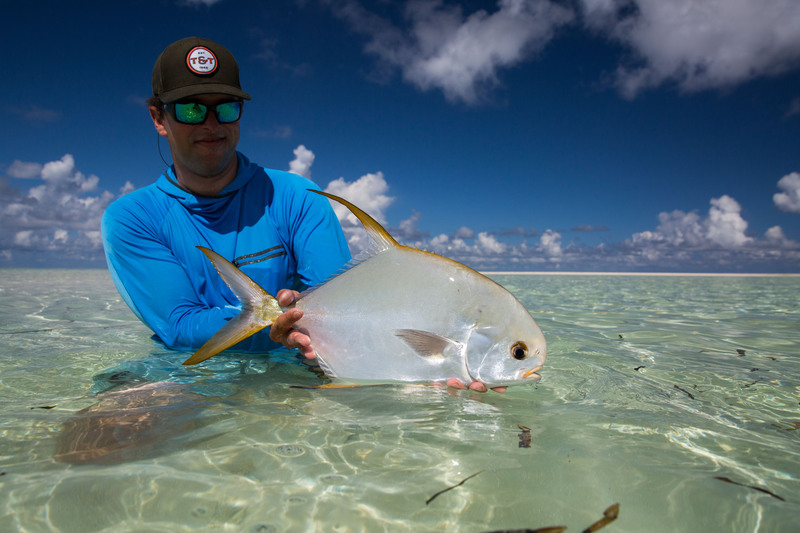 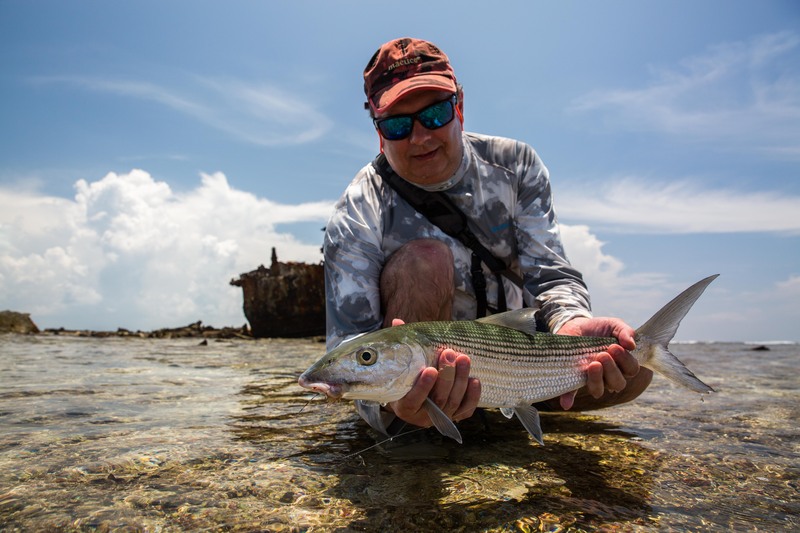 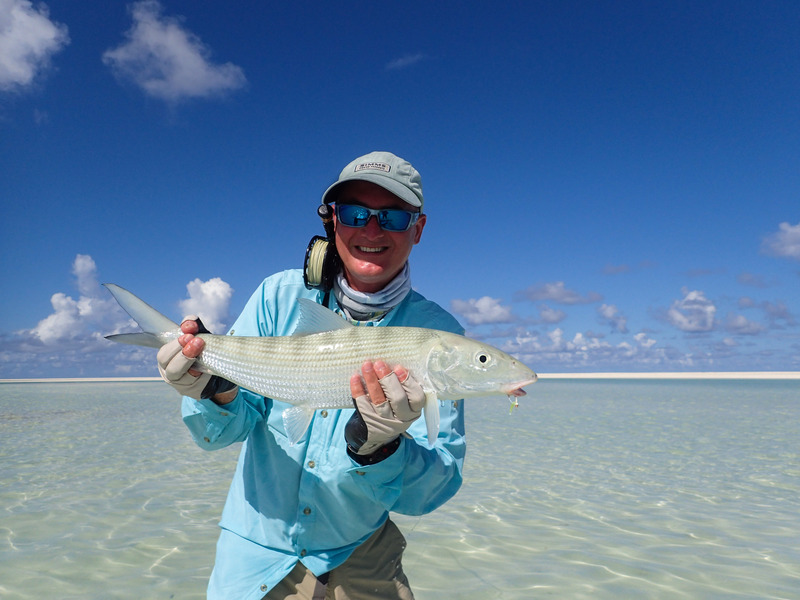 Spring tides mean one thing, surf walks, GT’s, Triggers and Ocean Bonefish! 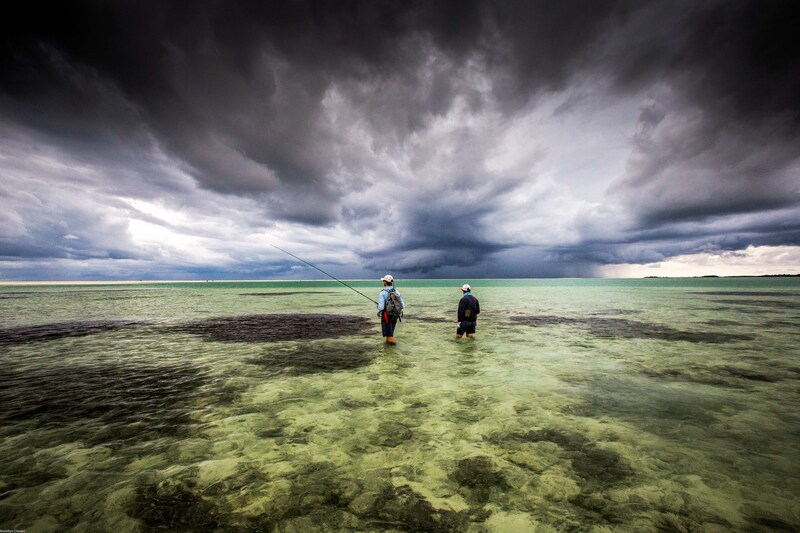 Most days saw the guests donning their wading boots and marching to the surf. 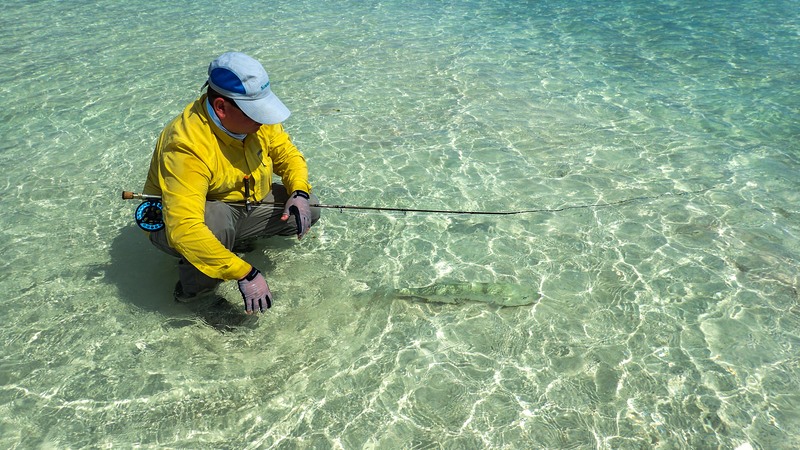 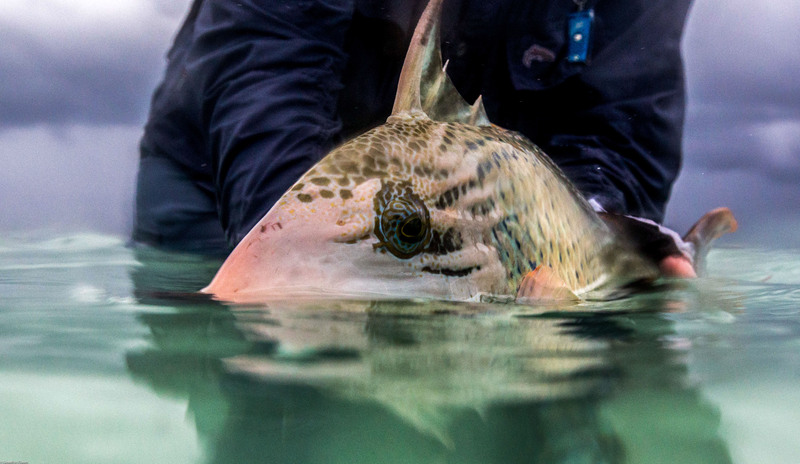 The ever-present Bonefish of St. Francios made sure that rods were always bending. 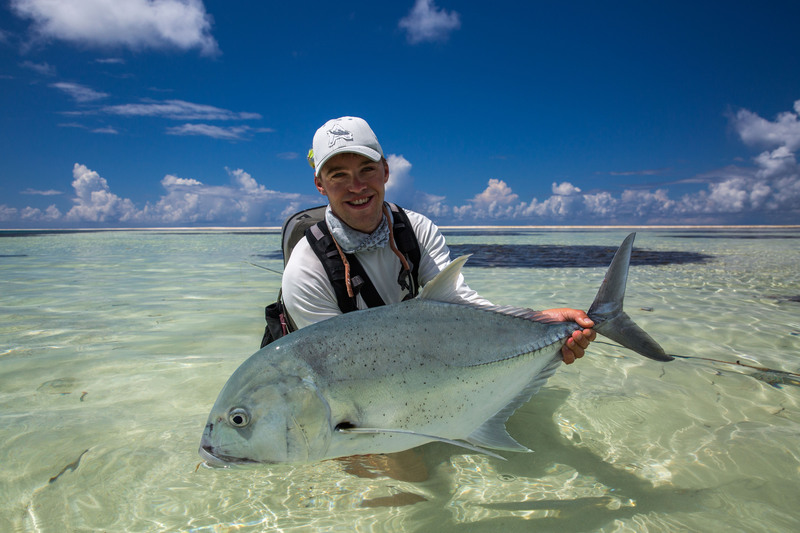 Alex S took full advantage of the favourable tides. 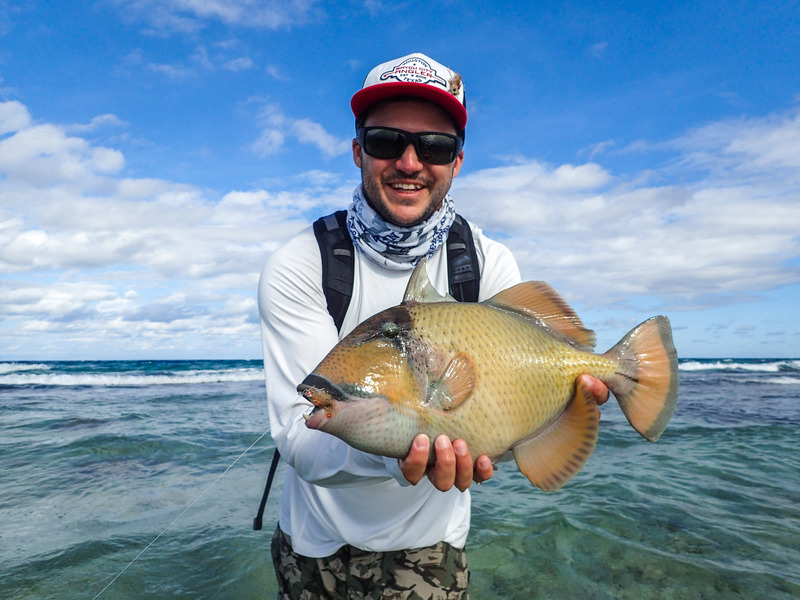 After landing his second Moustache Triggerfish of the week he made his way out to the shipwrecks at ‘Baghdad’ to wait for the push of the incoming tide. 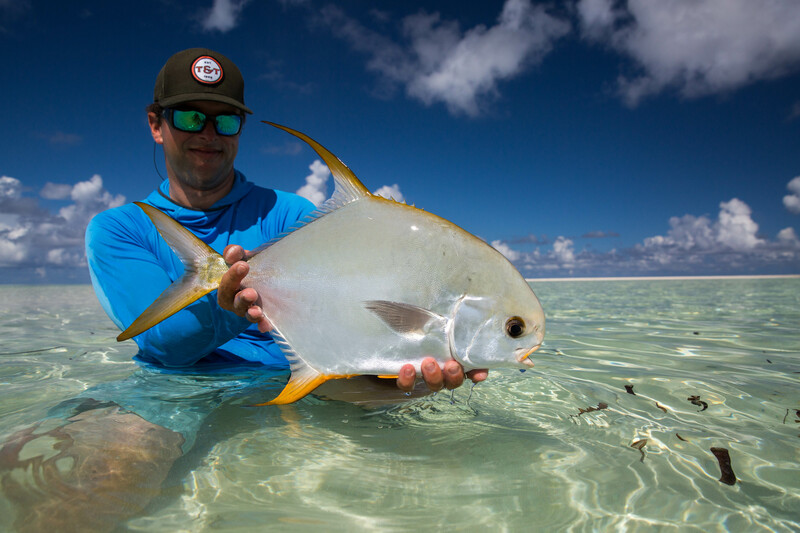 On queue a pack of hungry GT’s made their appearance, Alex made the perfect cast and without hesitation a monster of a GT engulfed his fly. 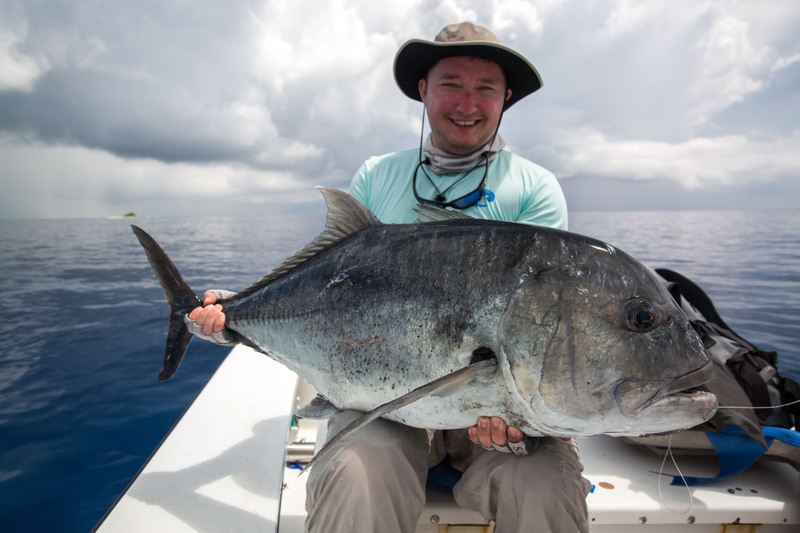 A few minutes later, after an intense battle he was cradling a fin perfect 106cm beast. 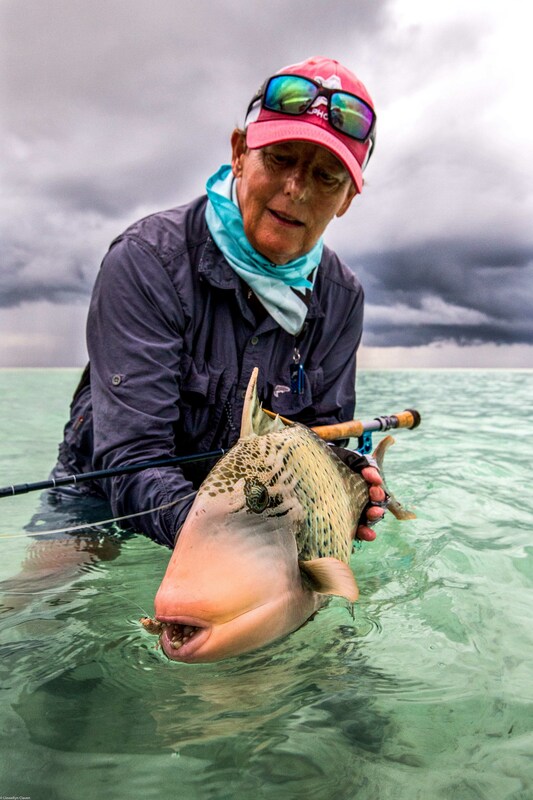 Alphonse regular and now considered part of the family, Chantal C, was in fine form this week. 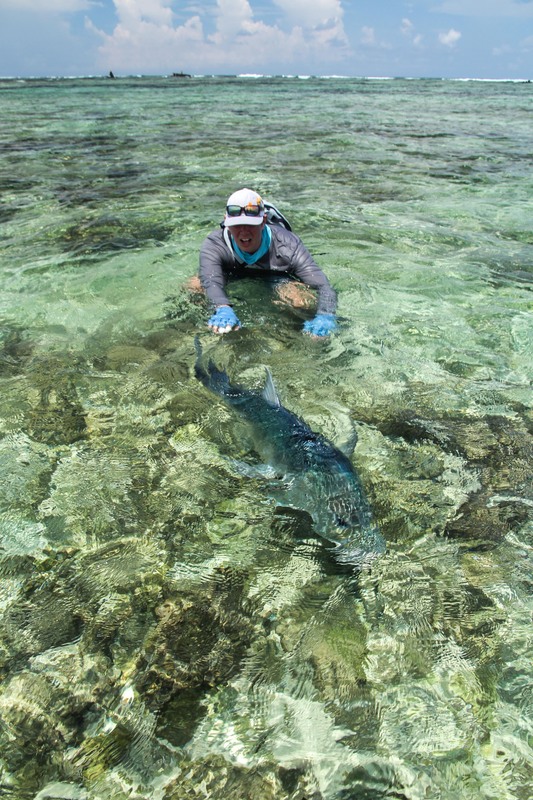 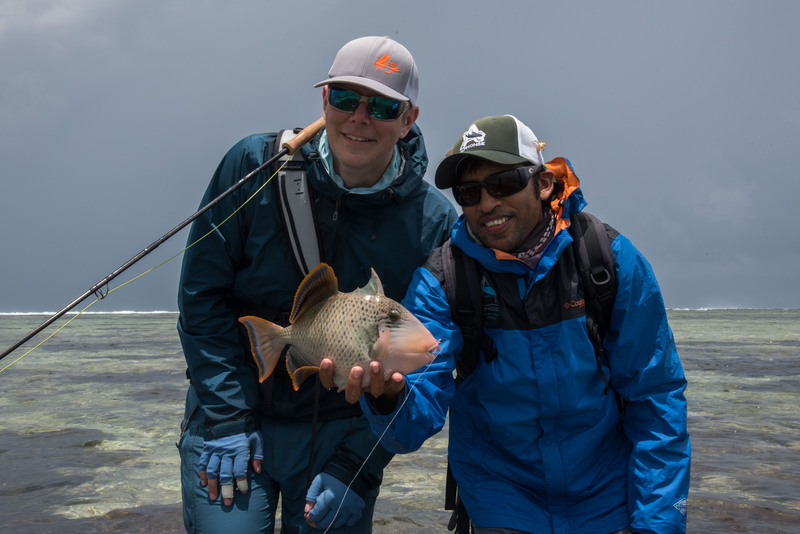 Chantal managed to land two GT’s in an afternoon session around Alphonse Island with Serge S. Chantal also added two Sailfish to her weeks catch on her outing with the Bluewater Team. 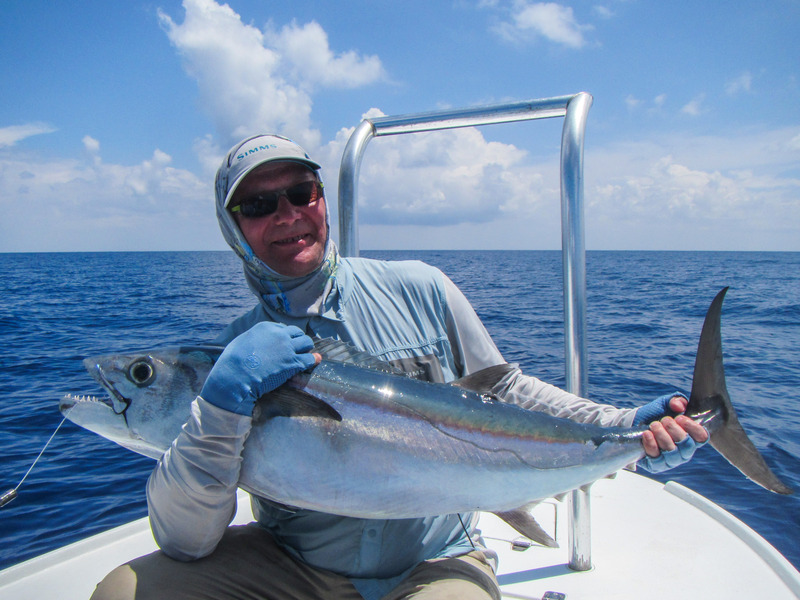 Maxim O, Samuel W, and Randy B all added to the total Triggerfish count of six for the week. 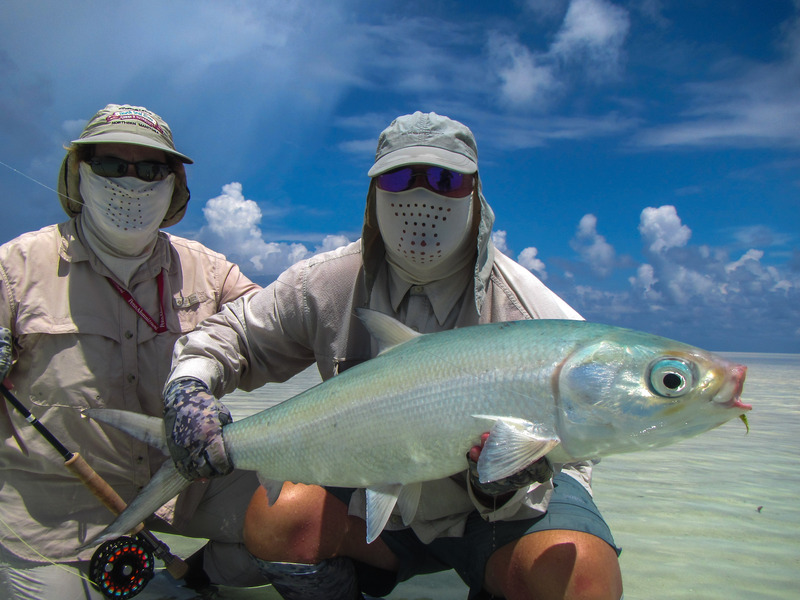 With the perfectly still weather conditions the Milkfish around St. Francois made their presence known. 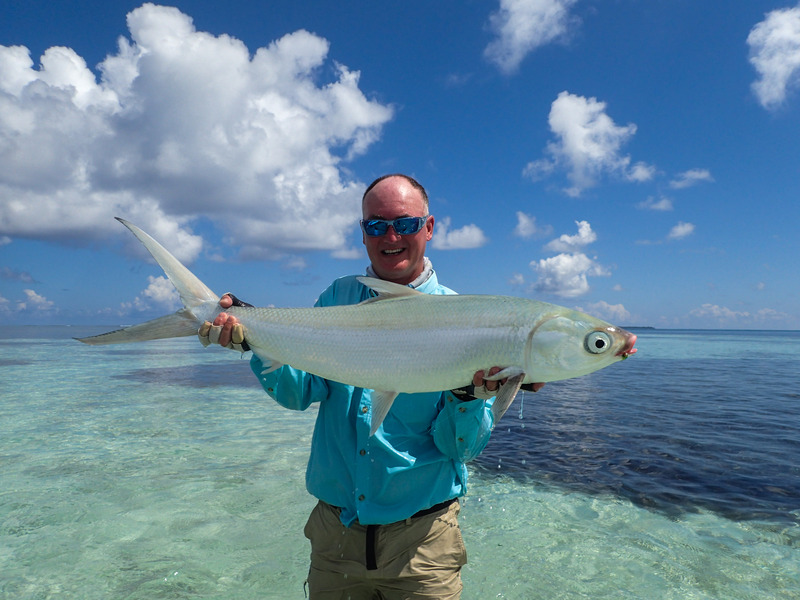 Randy didn’t take long to hook up and land his first Milkfish, adding to his impressive number of species. 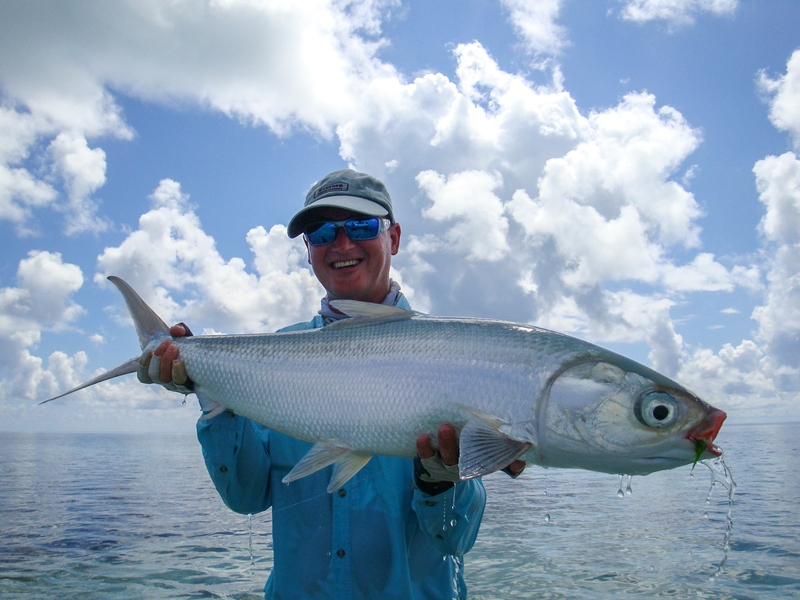 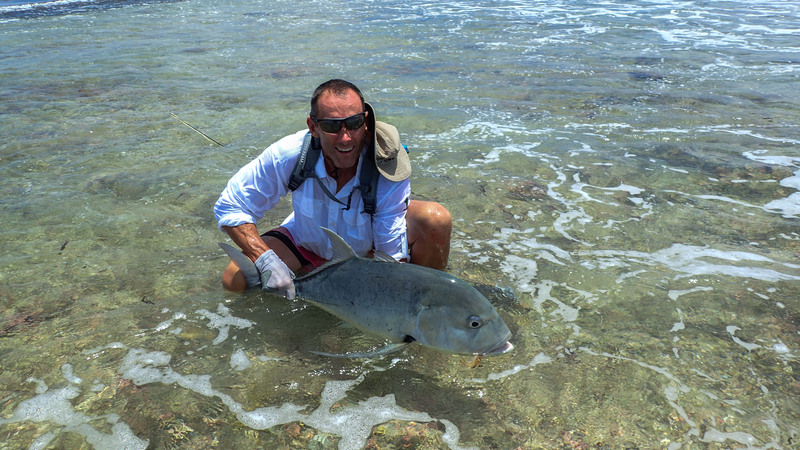 James M also took advantage of the Milks feeding hard and landed his first Milkfish. 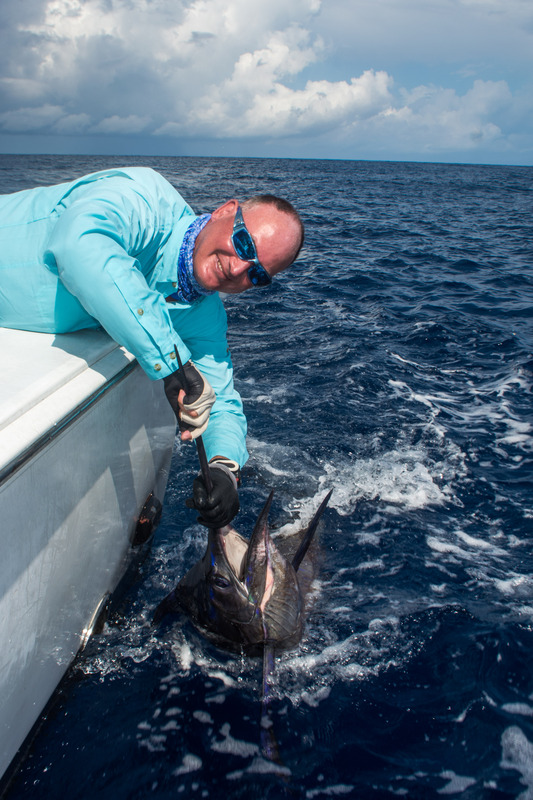 If that was not enough James took an outing on the Bluewater boat and landed his first Sailfish and Wahoo on fly to complete his ‘Bills and Bones Slam’ as well as a ‘Bluewater Slam’! 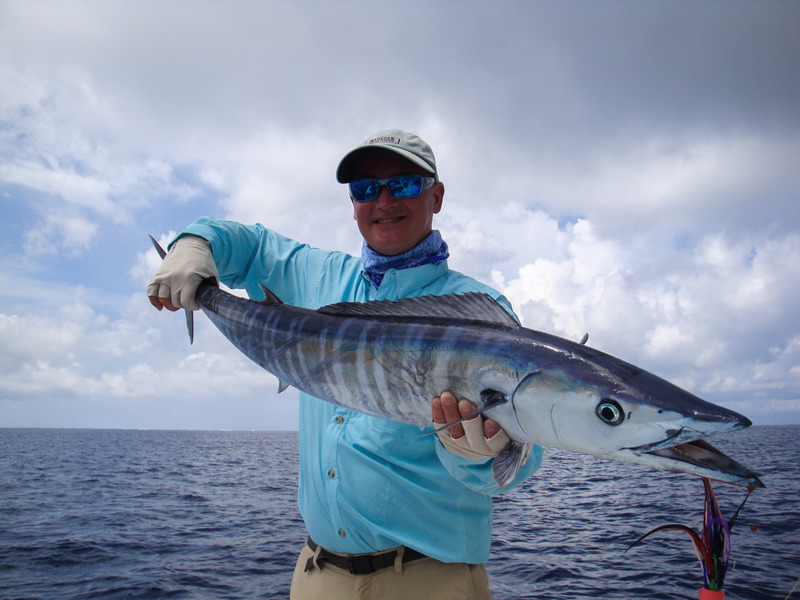 All in all a great week was had by our angling guests. 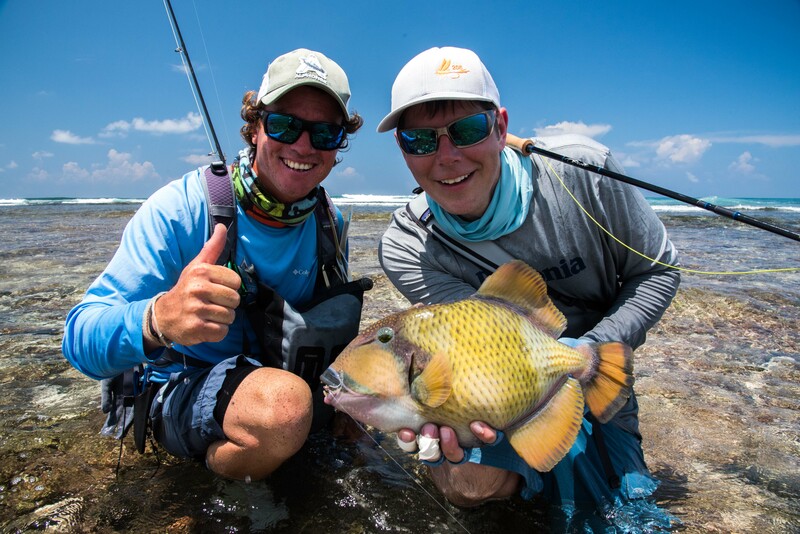 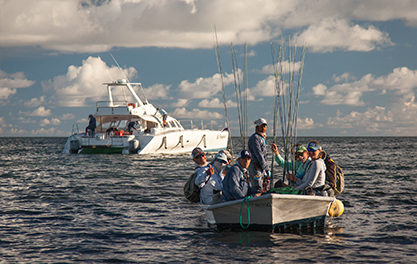 Many shots were had at the fish of a lifetime and a few were converted.